Hello stampers!! 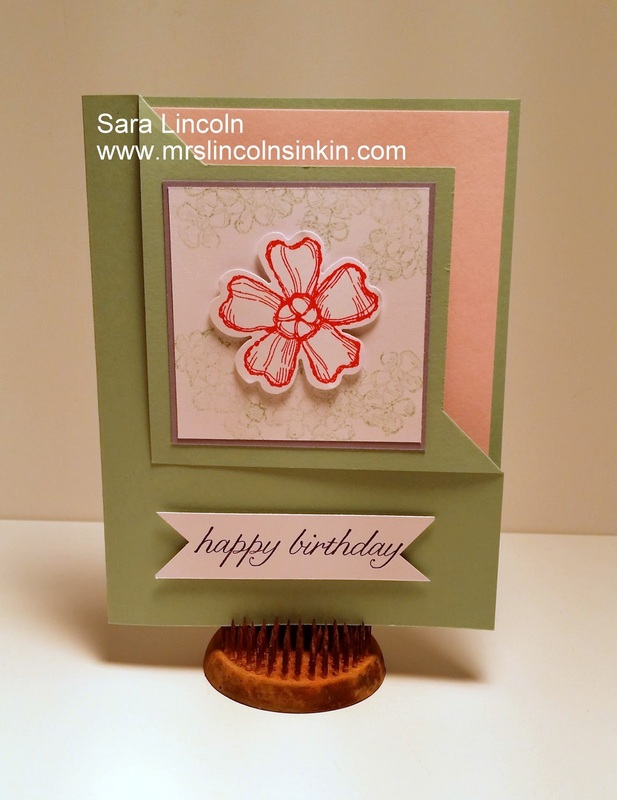 Welcome to Mrs. Lincoln's Inkin' and today card share and Friday Video!! I know that I just posted a card like this yesterday, you can view that post here, and said that I was hoping to get a video in soon... well... sooner came sooner than I thought, lol:) I just had to show you how to make this cute card. Let's just jump right into the video shall we? The item that I am going to be showcasing today is the Birthday Blossoms stamp set. New from the Annual Catalog and AMAZING!!! Don't forget, that if you sign up now through June 30th to become a demonstrator, you will get your choice of 2 stamp sets FREE from the new catalog. I would LOVE to have you on my team. Click HERE to see how to join! !